The Streetsurfing GLX Board opens a door for casterboard riders to create all new tricks. 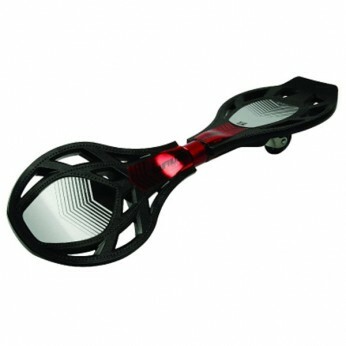 The board features an all alloy free spinning around ring that creates a slick and stable grinding surface for riders. The lightweight sleek black board features integrated grip tape decks and ABEC 7 bearings. Features dual directional caster swivel 360 degrees. Head and Safety gear recommended. Maximum weight 100Kg. Recommended age 8 years +…. This toy costs approximately £29.99 (for the latest and best prices make sure you check our retailer list for the Streetsurfing GLX Board above). In our review of Streetsurfing GLX Board we classed it as being suitable for ages 8 years, 9 years, over 10 years but recommend you check the manufacturer specific advice before purchasing.